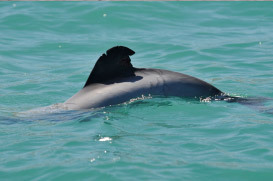 Individual whales and dolphins can be identified from photographs. 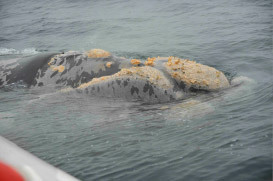 The first whale has a ‘clean’ lip. Its bottom lip does not have any callosities (specialised, roughened patches of skin, with white whale lice growing on them). 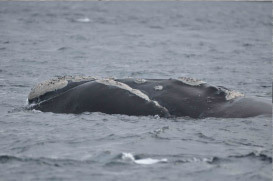 The second whale does have callosities on its lower lip. 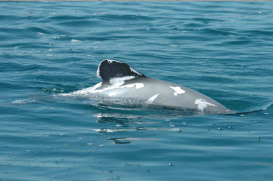 The other markings on the head are also very different between these three whales. The third whale has an unusual colour pattern. 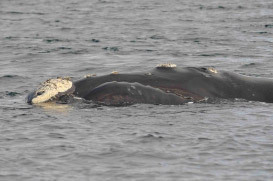 About 5% of the right whale population at the Auckland Islands has this kind of colouration. 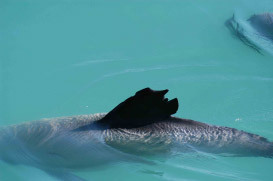 Hector’s dolphins are identified by nicks out of their dorsal fins, body scars or skin colouration. 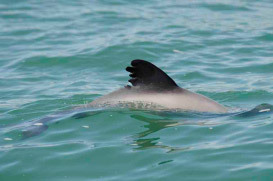 The small size of Hector’s dolphins makes them vulnerable to shark attacks and some individuals show spectacular shark bite scars. They also occasionally bite each other, which can result in tooth rake marks. 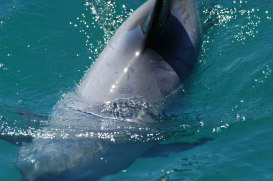 These look like someone has scratched the dolphin’s skin with a fork (see photo below). The skin is quite soft and easy to damage, so it doesn’t take much force to create a tooth rake. Tooth rake scars heal within a few weeks or months, and are not suitable for photo-ID. 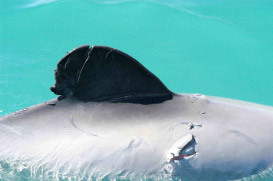 Shark bites and other larger scars are used for photo-ID. Some scars result from entanglement in fishing gear.